Any day now, we expect the Trump administration to issue its Title X Funding Opportunity Announcement (FOA)—and to be honest, we’re a little nervous. 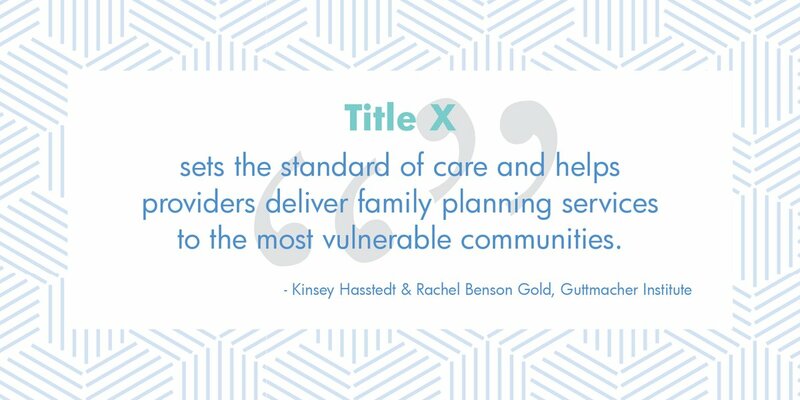 After all, the Department of Health and Human Services (HHS) political appointee overseeing the Title X program, Deputy Assistant Secretary for Population Affairs Teresa Manning, has publicly opposed the use of federal funds for family planning and stated that contraception is ineffective. The former anti-abortion lobbyist also opposes emergency contraception. What’s more, a memo leaked last month suggested that advisers to the Trump administration are seeking to slash Title X funding by half—and/or to promote the “fertility awareness” method of birth control in place of other, more effective forms of contraception. You can see why we’re not exactly optimistic. By instituting what’s known as the Domestic Gag Rule, which would bar Title X-funded health care providers from talking about abortion as one of three choices available to pregnant patients who come to us for comprehensive options counseling. Under any of the above scenarios, the Maine Family Planning network of providers (18 MFP clinics, plus four Planned Parenthood sites, 20 Federally-Qualified Health Centers, and five school-based health centers) would be hamstrung in its ability to provide a full range of contraceptive and reproductive health care services to low-income, uninsured, and underinsured women, men, and teens around the state. We are staying vigilant as the right wing’s latest attack on women’s health care looms. Stay tuned.